Auto Power OFF Shielded transformer jaw opens to 1.2"
Ratio testers using manual ‘current measuring bridge' circuits are now out dated. 'UDEY'model TRM-11 is a new, fully automatic tester that measures transformation ratio of single phase and three phase transformers using modern electronic techniques. 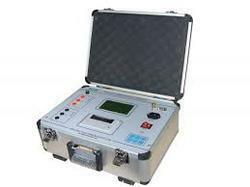 TRM-11 is micro controller operated user friendly, accurate, reliable, small, light weight and reliable tester. TRM-11 incorporates a large LCD screen for display of menu and results. The results can be stored & printed on built-in printer after the test is over. TRM-11 incorporates breakthrough technology and design that gives accurate and reliable results, again and again. UDEY TRM-11 is a new generation, fully automatic, transformer turns ratio tester designed for measuring ratio, ratio error of single and three phase transformers. The entire test is done automatically and quickly. Operator enters the test parameters and TRM-11 takes over; powers up the voltage, balances the bridge, takes the readings, and displays the results on the LCD screen. Prints test results through its built-in printer. A key feature of the TRM-11 is automatic measure transformer connection group. 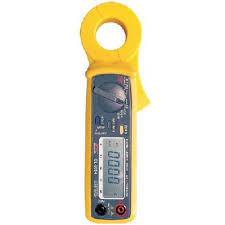 LV and HV windings are automatically isolated once the measurement is over. True portability is achieved by the light weight (only 10 kg), single unit design housing the TRM-11. The TRM-11 is encased in an aluminum alloy cabinet. Power supply : 220V±10%, AC 50 Hz. 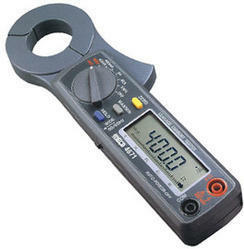 Test Voltage : HV:190V AC. MAX.LV: 0.19 - 190V AC. MAX. Usage environment : < 40º C. < 85% R.H. Looking for Current Leakage tester ?